We have wonderful and very affordable spaces for large and small church congregation sizes. Please contact us to arrange a viewing and to discuss your church needs. Fantastic deal: Saturday afternon or evening or Sunday evening church worship service space available between $500 to $1000 /m with turn key operation. 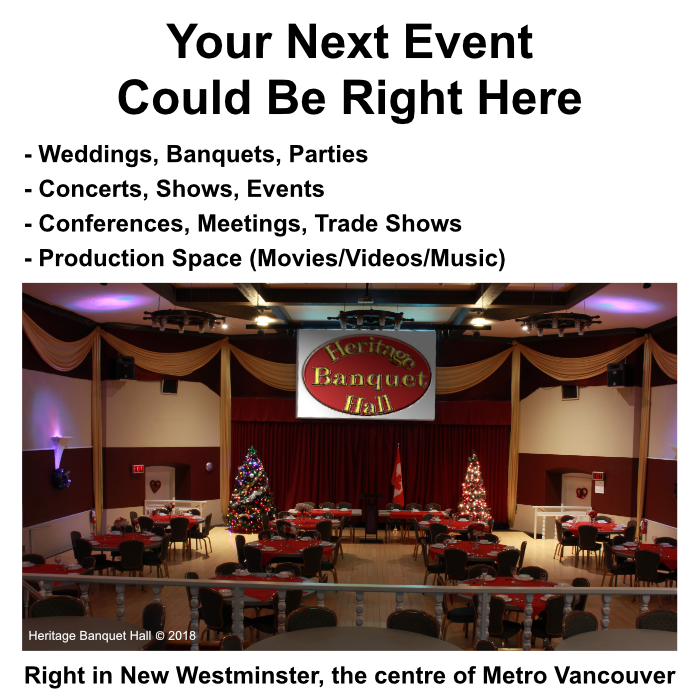 Copyright © 2015-2019 Heritage Banquet Hall - New Westminster, BC. All Rights Reserved.